We're nearing the end of our first year of homeschooling. It's had it's ups and downs, and a huge learning curve (which I presume will actually never end), but overall, we've decided that it's a pretty good fit for us, and we are continuing with it this fall. I really should blog more about our homeschool adventures...it's been fun! Anywho, today I wanted to share about how our family incorporates "P.E." 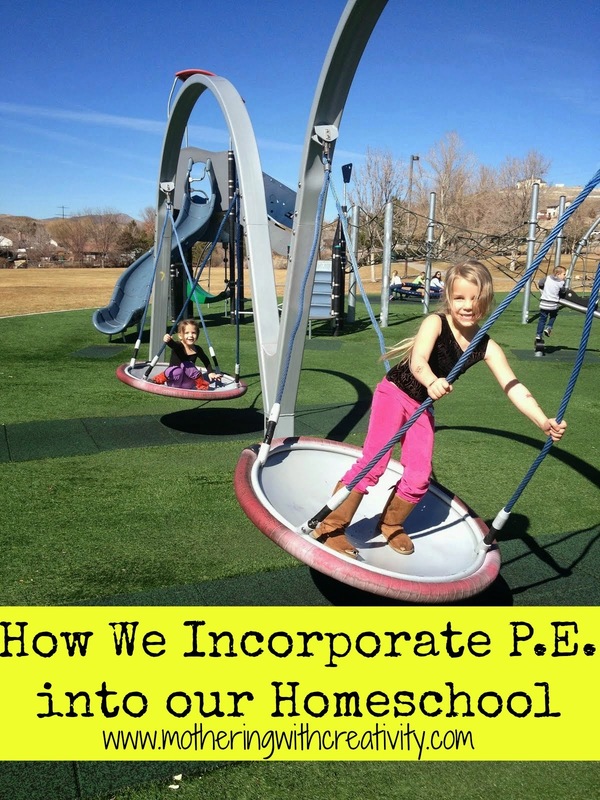 (or Physical Education) into our homeschool. 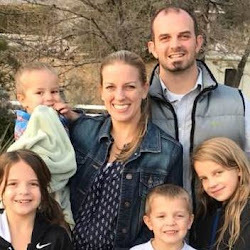 With homeschooling, we have to be very intentional about ensuring our children are receiving everything they need, as well as the things they may miss out on from public school that we think are beneficial to their lives. One of those is P.E. I LOVED P.E. at school as a child. We want our children to not only be healthy, but to love physical exercise, too. It should be fun and a regular part of their lives. 1. In general, our children get a lot of outside play time. Why? Because they can. They don't need to sit inside doing worksheets all day, so they don't. I send them outside to play for several hours every day unless the weather is totally yucky. They run around together, kick the soccer ball, play baseball, ride their scooters, etc. They also spend their fare-share of time digging in the mud, which I believe they could probably do all day long if I let them. 2. We ride bikes out front. We live on a cul-de-sac, which is great for traffic. We are the corner house, though, so we stand out a little in the cross street so cars see us before they come flying into our court. The kids love riding their bikes, and love it even more when neighbors come out to join them. 3. We take all four kids on family bike rides/runs. We have a double jogging stroller, which holds our two boys (6 months, and almost 3 years). My husband or I push them while we run and the girls (4 & 6) ride their bikes. We don't go far (usually about 1 mile), but it's a great little workout for my very out of running shape body, and for our girls, too. 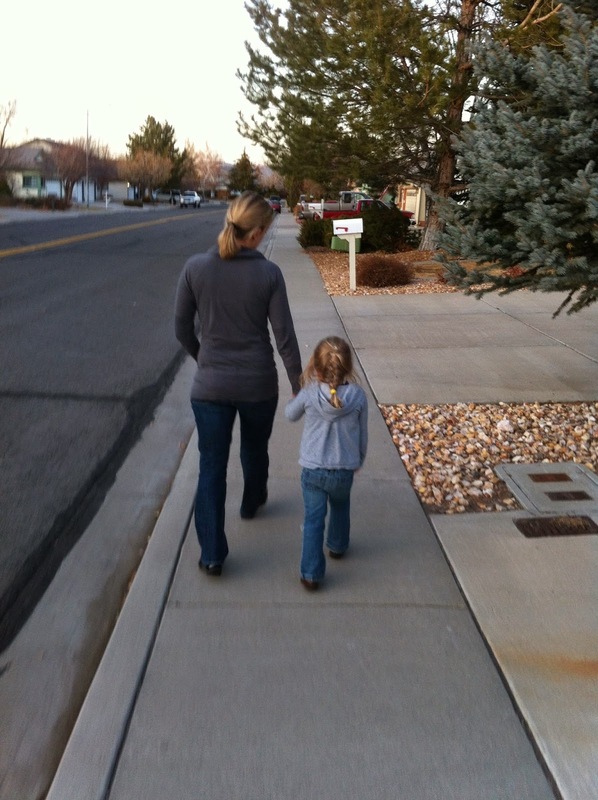 My 4 1/2 year old gets tired about 1/2 way through and she slows down, but she makes it home every time! Someday we'll be able to go longer distances (and our boys will be able to ride their bikes, too), but for now, it's a great way to get some exercise as a family. We do this once or twice a week. 4. Our girls play soccer in a local soccer league. They have practices once a week, and a game on Saturdays. My husband and I both love soccer, so we're hoping that all our children will fall in love with the game, too. Playing in an organized league also provides them the social experiences of learning to play on a team with other kids, as well as how to deal with those unfortunate times when they lose a game or get knocked down by a player on the other team. 5. Our older three do gymnastics (sometimes). For Christmas this last year, our girls asked for gymnastics classes instead of "stuff." This "experience" gift was a huge hit. Aaron ended up going for 2 months, and our girls went for 3 months (each set of grandparents bought the girls a month, and we bought them a month, as well). We stopped at the end of their "gift," but they enjoyed it so much, that we are working it back into our budget come summer time. This gives them a 45 minute-1 hour class time at gymnastics for physical exercise. 6. We visit the park. The park is an obviously great one, because it's free and they can run and climb and swing! We try to visit all different parks so that there's always something new and fun for them to try/do/explore. 7. We are doing swim lessons this summer. My kids don't know how to swim yet, which is a huge problem for me. We just aren't ever at the pool to have the opportunity to learn. The older three will all be taking swim lessons twice a week for most of the summer. Great exercise, plus a good safety skill! 8. Our 6 year old loves Jillian Michael's work out videos. She really does! About once a week, she gets on her "workout clothes" and gets the DVD going and completes one of her segments. 8. Finally, we try to provide a good example in the area of exercise for our children by doing it ourselves. I wake up at 5:15am at least 3 days a week to go swimming. My husband works out on his lunch breaks, and rides his bike to/from work almost every day now that the weather is nicer. We want our children to see and know that exercising is a part of our lives. These are some of the ways we incorporate P.E. into our homeschool. Basically, we want our kids to know that our health is important, and we want to raise children who enjoy exercise...in many different ways/forms. What ways do you incorporate P.E. into your homeschool? What types of activities do your children enjoy the most?